A very simple definition of urban legend is that these are stories which are scary, horrifying, hilarious, mind boggling, and are told by friends of a friend, which is a relative of neighbor, who is a friend also of that friend. 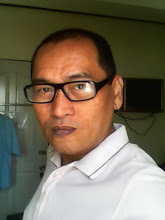 In other words, these are stories which people claim to be real and are retold by another person who is known to them. What makes these stories very interesting is that a real person is claiming that it happened and there is a degree of affinity between them. Thus, it is accepted as true but not validated. Urban legends almost cover every themes and context like dogs, nannies, presidents, and even celebrities for examples. Thus, it comes as no surprise that popular brands on products that we use have their own urban legends. Let us enumerate some of these brands and its companies as well. One of the most famous urban legends of all time was about an executive from Procter and Gamble who went for a live TV interview and confirmed that the company is indeed promoting Satanism as evidenced in their company logo at that time which was man on half-moon with thirteen stars surrounding it. This image was perceived to be symbol of Anti-Christ. Until now, no video actually did surface to support the claim that it really happened. Do not eat fried chicken from fast food joints, especially from Kentucky Fried Chicken. According to legends, the chickens that were used by this brand were genetically engineered and created. The hormones injected into these chickens may enhance homosexuality among males. At present, the company has yet to receive legal notice demanding financial damages from a person who claims that he became gay by eating lots of Kentucky Fried Chicken. Some of the stories: how a disgruntled assembly worker intentionally contaminated Coke; mixing Pop Rock Candy and Coke can cause explosion of the stomach; a tooth is dissolved when left in a glass of Coke overnight; and mixing Aspirin with coke can give you an all-time high. Only one legend involving coke was true. It contains cocaine. Yes, during the 1920’s but today, the cola was reformulated and no longer has this substance. 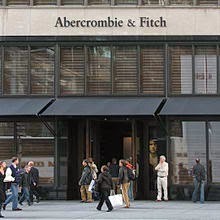 If you are Asian, do not patronize Abercrombie and Fitch. This famous clothing line has produced a t-shirt with supposed texts that includes “worn by whites, no Asians allowed.” In some stories, it has even printed anti–gay statements. How ironical, considering some of the male models they used are active gays. Spam is believed to contain human flesh. According to some stories, it tastes like human flesh; therefore it must have contained human flesh. There goes the twisted logic. Rational people would attribute urban legends among brands as part of their campaign to promote their brand and destroy their rivals. That’s just how it is.